This house is located on the Black River at Foster Park Road, a left turn off of Route 180 just before the road crosses the river over to Dexter. The land extends out to form the south shore of Black River Bay. Foster Park Road runs level for a stretch, then goes down a hill and after leveling out, shows a hill in the left forward quadrant. 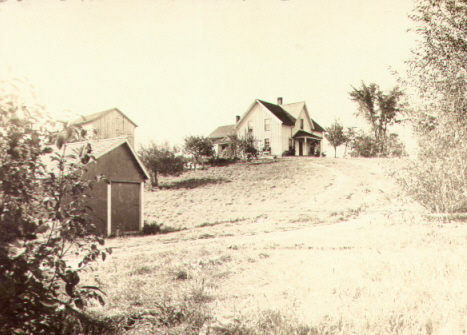 On the top of this hill sits the Foster farmhouse. At the center of the 1864 land owners map below, it is shown under the name of his son, John ("J. Broadbent"). It was built by Thomas Broadbent (at right) just before the Civil War. He was born 22 October 1810 at Saddleworth, Yorkshire, England, son of Samuel Broadbent and Sarah Whitehead, and emigrated to the United States as a boy. On 7 October 1832 in Massachusetts, he married Esther Pond Carroll, born 4 January 1814 in Walpole, Massachusetts, daughter of Joseph Carroll and Asenath Carpenter. After establishing his family in Southbridge, Massachusetts, Thomas took several trips by horseback to Jefferson County, New York to evaluate opportunities there. In 1847 he removed the family there to a house on Lodi Hill, just over the river from Dexter village in Hounsfield. He worked in the textile mills, accumulated land in the vicinity and eventually established the farm at the end of what is now Foster Park Rd. on the Hounsfield side of the river, which consisted of 100 acres. 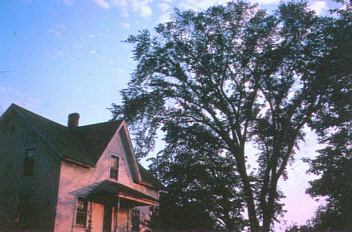 In 1882, a wing was added to the rear of the house, containing a kitchen, pantry, and woodshed. 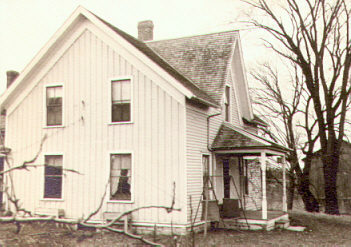 In 1895, the gable and front porch were constructed. Electricity was installed in the 1930's, though heating methods remained unchangedthe kitchen range and coal stoves in the parlor and dining rooms. Thomas later moved on to Anoka County, Minnesota, but returned in his later years after his wife died there on 9 August 1884. 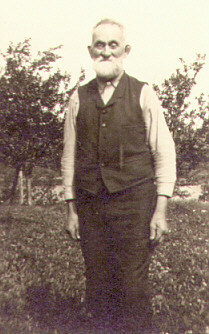 He died 7 February 1903 at the farm in Hounsfield and was buried in the Dexter cemetery. After the war, his daughter, Emily (at right) married Albert Foster (at left) and they took over the farm. Foster was a veteran of two enlistments, having been wounded twice and having received a battlefield promotion to Lieutenant, serving as an aide to Gen. Joseph Hawley. The couple raised a family of four boys and two girls on the farm, Foster was elected commander of the Julius Broadbent Post, GAR, (named after Emily's brother, killed at Antietam), served as highway commisioner and justice of the peace for Hounsfield and twice was a candidate for supervisor of that town. After Albert and Emily's deaths, the farm remained in the family and was operated by their son, J. Hawley Foster until the 1970's. It remained pretty much in its original state, with its outhouse, cistern and kitchen hand pump until it was finally sold. The new owners have purportedly made substantial improvements. or at hounsfieldhistory.net under "Homesteads"